It´s been quite silent here the last days, so I´ve decided to show some work in progress pictures of a project that I am working on. The figures are from Caesar miniatures, Italeri and Zvezda (also some conversions). The cart is self-made out of the shields in the siege-machines kit (zvezda). Hope you like it. 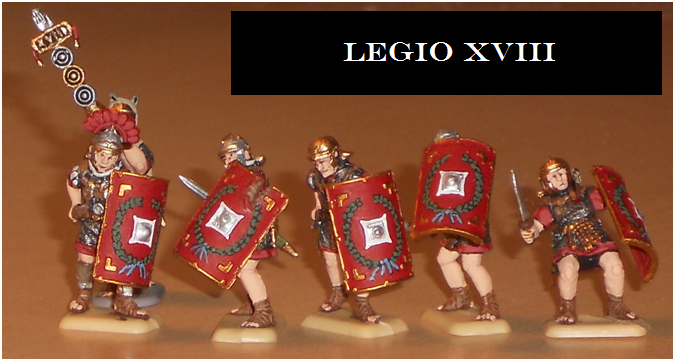 Looks ok so far...don´t go for too many Lorica Segmentata...they were a pretty new design and not too common at this time...the legions were re-equipped in 13-14 Ad with them but it´s generally considered that they were not in service at the battle of Varus. Also any archeological evidence of osnabruck being the site ot the disaster is very heavily disputed. Hi nice to see some Roman. I have ordered the zvezda tesdudo and german warriors. And Roman in 1/32 scale,but it will take some time before i can show something. I like the painting and the tree. Is it Republik Roman and gaul? There were segments of the lorica segmentata found at the areas where the battle took place, so it is reasonable that they were used (in small numbers) in the battle at teutoburg forest. That´s why I use mostly conversions of the roman infantry made by Italeri with the lorica hamata (mail armour) and only small numbers of the Zvezda imperial romans. But I think that an Optio as an officer may have had the lorica segmentata. The problem is to find good-looking german warriors. 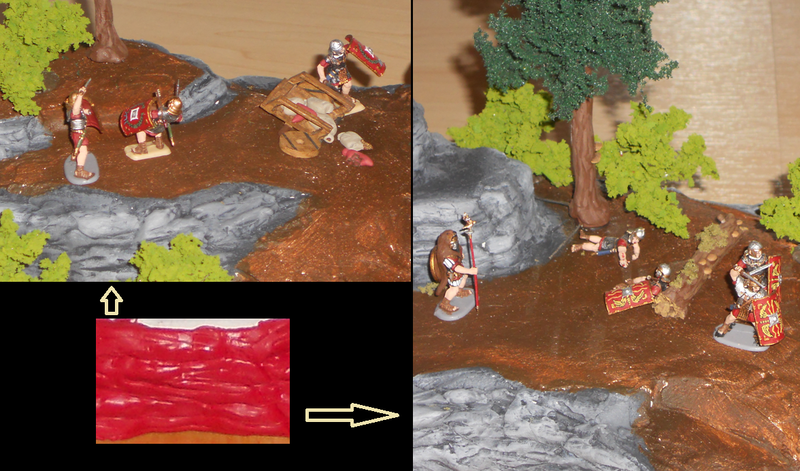 The Caesar Miniature Germans, that I use, are nice but the poses are not very usable for me, so I can´t use a lot of them. For me it is very important to show many different styles of roman equipment, because there were lots of variations at the same time. 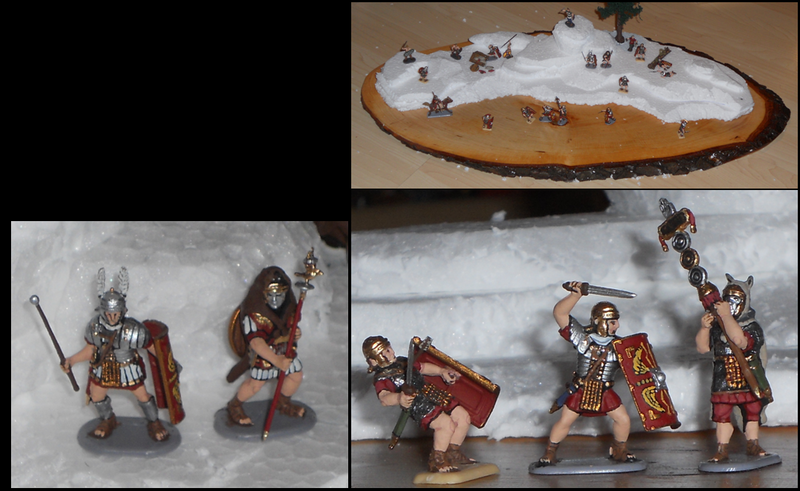 Here are the conversions of the Italeri romans. Bloody amazing conversions...one of my favourite sets for converting...and a lot of people say it´s a boring set due to the two ro three poses. The guy who discovered the "site of the battle of Varus" in Osnabruck...T.Clunn, I´ve talked with him about it and to be honest he´s no longer convinced that it was there.